It's that time of year where garden centers are buzzing with anxious homeowners ready for some color in their landscape. If you're dreading the idea of crowds, get a head start now by going online. Visit American Meadows.com, one of the largest and most respected suppliers of flower seeds, plants and bulbs in North America, and your plants will be delivered right to your door. Best of all, you'll get them all -- bulbs and perennials -- at a significant discount. AmericanMeadows.com has a falling discount that starts at 35 percent. It drops to just 20 percent during the next few weeks, and then goes to full price once the spring shipping season begins. "The sooner you order, the more you'll save," says company President Ray Allen. "Right now we are able to get our bulbs and many of our perennials directly from Holland, but there is a cutoff date, and once it arrives, no more can be shipped from overseas." Not sure what you're going to want to plant? There's a wealth of information about spring planting, including a Quick Guide to flower bulbs that will tell you how to store your bulbs before planting, how to prepare them to go into the ground and how to care for them once planted. The three most popular bulbs for spring -- the gladiolus, dahlias and lilies -- come in a wide variety of colors. If you want to create towers of lavish color with almost no work at all, gladiolus bulbs are the way to go. You can use them to create instant clumps of color between other plants. 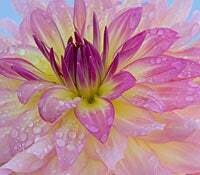 Want a garden with a lot of interest, how about planting some dahlias? When they flower, multiple buds open into some of the flower kingdom's most spectacular blooms, some up to 10-inches across. Lilies are also extremely popular, and not just in the springtime. They add lavish color from late spring right into fall. They take almost no ground space, since you can pop the bulbs in between other plants, and have fabulous blooms above it all. As for perennial plants, AmericanMeadows.com has over 200 to choose from including the old favorites like a big selection of daylilies, irises and hostas plus many new things this year, including spectacular Tree Peonies imported direct from China. For those gardeners who want something different, American Meadows also carries specialty bulbs you won't find for sale anywhere else. The company is the exclusive Internet distributor of Biltmore Bulbs, cultivated by the garden staff at North Carolina's famous Biltmore Estate. Truly magnificent dahlias, unusually beautiful gladiolus, and of course, exquisite lilies are included in the select group, deemed fine enough to grow at Biltmore House ... and now at your house, too. Not only will shopping online save you a lot of hassle, but money too. Visit www.AmericanMeadows.com today to start your gardening off right. The direct relationship the company has with the growers saves you money, and if you order early, you can get an additional discount - all from the comfort of your home.